The two recipients of Everytown’s money are gun-control gubernatorial candidate Ralph Northam and gun-control Attorney General incumbent Mark Herring, both of whom are Democrats. A close reading of Northam’s positions reveals his support for banning “assault weapons,” limiting Virginians to one handgun purchase a month, and expanding retail background checks so as to cover private gun sales too. In other words, Northam wants to place California-style gun control on the backs of law-abiding Virginians. 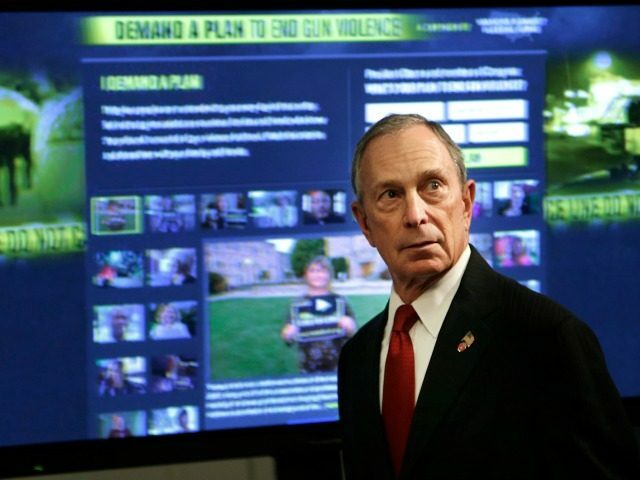 Moms Demand Action–another Bloomberg-funded gun control group–is also working to get Northam elected. They are canvassing neighborhoods and making phone calls. Group volunteer Amy McPike said, “[Northam stands] with the majority of Virginians who know that our Second Amendment rights come with responsibilities to keep guns out of dangerous hands.” This has been Moms Demands’ go-to argument for expanded background checks since their post-Sandy Hook formation. The problem with their argument is that background checks have proven to be the normal means of weapon acquirement for high profile attackers. For example, the Virginia Tech attacker passed a background check for his gun and the Aurora movie theater attacker passed a background check too, as did Gabby Giffords’ attacker. Both Fort Hood attackers passed a background check for their guns and the Orlando Pulse attacker passed a background check and a waiting period. It is a fact that nearly every high profile attacker in the last decade acquired his or her guns via a background check. This suggests that the goal of expanding background checks is not really safety, but widening the government’s encroachment into the exercise of Second Amendment rights. If you doubt that, just look at California, where universal background checks led to gun registration laws and gun confiscation laws. They even have the one-handgun-a-month limit that gubernatorial candidate Northam wants to place on law-abiding Virginians.